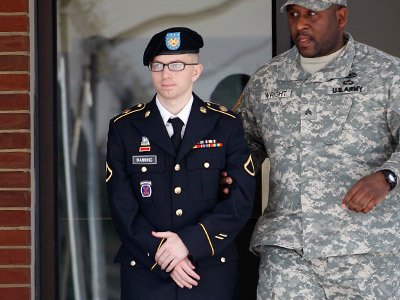 Supporters of WikiLeaks informer Bradley Manning say he is being tried amid far more secrecy than any terrorist in Guantanamo. They want prosecution motions, transcripts of proceeding and other material to be released to the public. ­Led by the New York-based Center for Constitutional Rights, a specially formed coalition supporting Manning calls unconstitutional the military trial of the man, who allegedly handed over thousands of US secret papers to the whistleblowing website WikiLeaks. 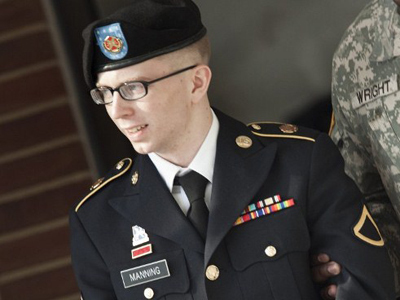 Manning is facing 22 charges related to the infamous leak. 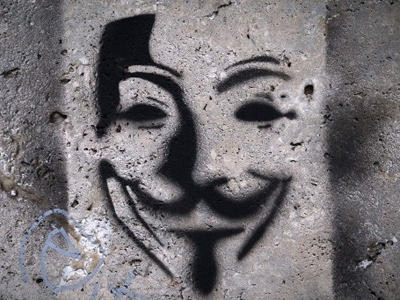 He was arrested in May 2010 in Iraq, where he was working as intelligence analyst at a US military base. So far not one of the motions submitted by the prosecution to the court-martial has been released. Neither were prosecution replies to defense motions, orders issued by the court or transcripts of the proceedings – even those that were fully open to the media. Manning’s defense lawyer David Coombs published several documents related to the trial in his blog. Among them are motions pleading to dismiss 10 charges his client is facing. Eight of those are said to use unconstitutionally vague working, such as "to the injury of the US”, or “to the advantage of any foreign nation" and "relating to the national defense." Coombs also complains that Manning was not allowed to review some 7,000 documents handed to the defense team by the army. The documents are only accessible in Rhode Island and Maryland, while the suspect is being held in Fort Leavenworth, Kansas. Arranging a way to study the papers was not possible. 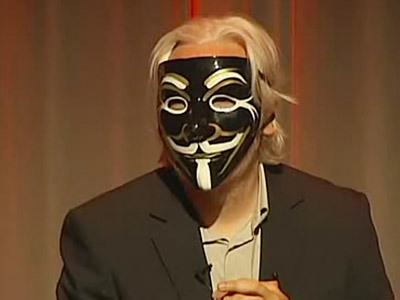 The coalition’s petition for making the trial transparent was signed by Julian Assange, the founder of WikiLeaks as well as several news outlets and individuals. They argue that the importance of the trial is comparable to that of Lt William Calley for the My Lai massacre in Vietnam and the legal tussle over the publication of the Pentagon Papers. Thus, they say, the public must not be kept in the dark over Manning’s prosecution. The next pre-trial hearings are to be held on June 6.